This podcast sounds like two of my good friends telling stories. Except this is the first time Iâve heard them. I canât wait for #3! Twitter Chats is really good and offers a different side to Mike. The other guy is really funny too. We need more of these shows. Just heard the podcast..... another great one guys!!!! I enjoyed you guys talking about your real life stories and current events. And you guys didnât get into politics!!!!! Mike is a proud graduate of Phillipsburg High and is doing a fantastic job of repping the town. Loved your mid-term election special and your sense of humor. Sarah and Keith make up the perfect trifecta. It's only a matter of time until you three land on Sirius/XM.PS-Beat Easton!!! Maybe you can incorporate the alma mater in to the show sometime? The trio of Mike, Keith, and Sarah is one of the greatest comedy minds of our time. I dare you to name a more iconic trio. Been a listener since episode 1, and each episode just gets funnier and funnier. Keep going and I look forward to each week where I see that yellow cover art pop up on my feed. The best and funniest podcast on the itunes. The interviews are ok but the shows when they are in studio are the best. Sarah is a thousand times funnier than actual female comedians today. Mike is egotistical but in a loving way. Keith is the actual brains and I feel for him. When Mike loses his mind over the lack of actual common sense in society is the funniest dam thing ever. My husband and I both laugh out loud when he reaches his tipping point. Really enjoyed your sit downs with Diego, Taz and Bob McLeod. Mike has the ability to bring everyone down to his petty self and it's hilarious. Hard to tell if Mike is dumb or if he's a genius. I really enjoyed the Ben McLeod interview. You had me rolling with your terrible impression of him. Good stuff! I savor getting to hear Mike & Sarah hate on every city in America. Portland, Seattle, Cleveland, etc. The interview with Diego was fantastic! You have the ability to make your guest laugh and show his personality. This is one of the best podcasts out there. I love it! Every single episode literally makes me laugh out loud. I look forward to it every week! The EYT is addictive. The chemistry between Mike, Detroit Keith and Sarah Sullivan is fantastic and you'll feel like a part of the gang after a few episodes.Topics vary wildly, but often involve 80s/90s pop culture references, tv shows, movies, sports, and occasional politics. Their absurdity is welcoming and you'll be laughing along with them in no time. When you can rant about anything and still make people laugh you know that you have talent. Here's to making anything funny. Best podcast Eva !!!! I look forward to the new episodes coming out! They are such a hilarious trio, and provide comedic relief during a busy week. Their content is relevant and definitely walks the line in inappropriate, but manages to do it without completely offending everyone. I find myself cracking up the entire time while listening! Mike has a very different style of humor and it can really turn people off but I love him. Glad the pod has been ranked so high in iTunes. It's a well deserved honor. Mike & Sarah are freaking hilarious. Keith not so much. You should drop or replace him. I can't take any more poison ivy stories. It really is a treat to have this podcast in my life. I listened to nearly every episode at least several times. Mike's ego and laugh make my day instantly better. Sarah is funny in an off the wall kind of way. And Keith seems stressed from trying to reel in the madness. This is truly a podcast about nothing but you will quickly be addicted. I canât stop laughing in Van Driver!! @TinfoilhatNick Away!!! More Macho Ghost please! Love the YT! Love Sexton & Sullivan! When I first started listening to this show I felt bad for Keith and Sarah. Especially Keith, poor guy getting kicked around like a red headed step child. Mike was such a dictator in ordering around his minions for no pay to do his evil work. Well... after some time I have changed my opinion. I now feel bad for Sarah and Mike. Keith my friend you are the problem!! Mike is a good charitable man to let you work on HIS show. Sarah you are the best too!! All joking aside keep up the great work guys..... Keith you need to work harder. The best moments are when Keith messes up and Mike calls him out on it. I look forward to those comedic gems. Spending time with Mike, Sara, and Keith is a great away to escape the BS of everyday life. Keith deserves another box of Fullbars for putting up with Mike and Sara. Listened to the latest episode of Making Star Wars as soon as I woke up this morning. I cannot thank this podcast enough for being a source of rationality and empathy during these dark times in the fandom. I then listed to the YapTrap and you are all horrible people. I would give this 0 stars if I could. DO NOT LISTEN UNLESS YOU FIND NAME CALLING AND RACISM TO BE FUNNY!!! You are our Red Leader! Keep speaking truth to Star Wars and Kathleen Kennedy! Great show! Can't emphasize enough how much I love this podcast. Found it on Twitter and last week and listened to three episodes. You three make me laugh non-stop. Mike smells like beef and cheese, Detroit Keith and Sarah are awesome. A bumbling whirlwind of beautiful idiocies, insights, and non-pc humor. Sometimes I think Mike is the angriest man on the planet and then he drops info like "Jesus' name couldn't have been Jesus because the Hebrew alphabet doesn't have the letter 'J'". I fact checked that and he was right! That blew my mind! Give us more info nuggets to go along with the jokes. The Trap just gets better and better each week. Who knew? I enjoyed hearing them rip on Brent the new guyI found this podcast 4 weeks ago and have been telling my fiends and anyone else who'll listen that Sexton & Sullivan are the best comedy duo on the internet. I am so happy to have found this podcast! Not sure who these three are but this hilarious podcast is professionally produced and sounds better than Greg Fitzsimmons', Hannibal Burress' or Bill Burr's podcasts. I never laughed so much at things that I know better to laugh at. If you have 45 minutes to kill you could do worse than listen to Mike, Sara and Keith tear the entertainment world down around them. Good luck getting Pitbull booked on the show. Detrot Keith, Mike Sexton and Sarah Sullivan are crazy funny. Not sure if they're characters or if they are just insane (except for keith who seems very normal). Sarah's Gammy is so racist yet Sarah makes her seem so lovable. Mike is a ego maniac who wants to be recognized as a big star. He probably never will be, which is funny. Keith feels like a babysitter who is doing his best to prevent the children from burning down the house despite them running around with flamethrowers. Excellent (if not weird) podcast, you'll laugh till you cry. despite being #varybard, Mike and co get 5 stars from me. I found this podcast 4 weeks ago and have been telling my fiends and anyone else who'll listen that Sexton & Sullivan are the best comedy duo on the internet. I am so happy to have found this podcast! This show took a little while before it grew on me, but I love it now. The Valentines episode is the best. I love Sarah Sullivan. Mike Sexton is an up and coming comedian. Detroit Keith keeps them focused (mostly). I like how the three comedians are portrayed with such comradery. You get the feeling that they're friends as well as coworkers. The stories they tell while laughing at each other are the best. Not for the easily triggered or the woked audience. Mike Sexton, Sara Sullivan and Detroit Keith are my three favorite podcasters. They are a low budget version of what Howard Stern used to be in that they don't care who's feelings get hurt in the process of getting laughs. 5 Stars! Mike is good man and a mentor to youths; however he is my sworn enemy. I listen every week to obtain knowledge on his weaknesses. Unfortunately, he has revealed no weaknesses, and because of such I have immense respect for him. Keith is now my true lifelong enemy. He is stupid and loves giraffes (my sworn animal kingdom enemy). Thanks for the tinder date Sarah. Despite hating all involved, I thoroughly enjoy my weekly listening experience. Keith is the true star of the show. I can't imagine having to deal with Mike's ego, Sarah's dumb cat stories, and Uncle Joe's nonsense. 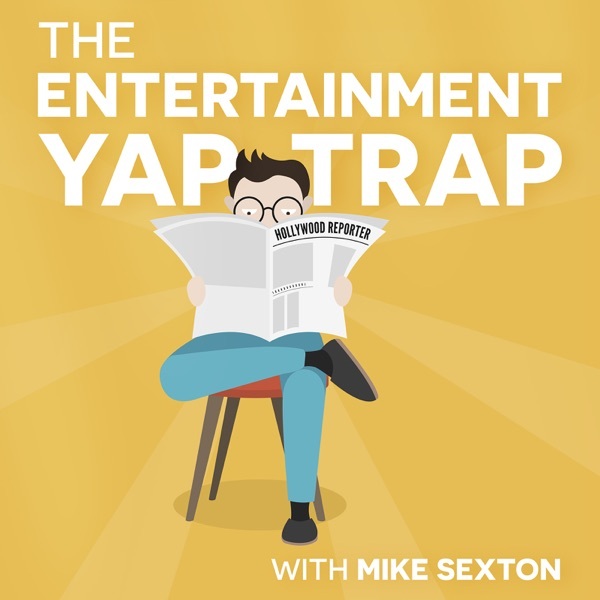 The Entertainment YapTrap is a hidden gem of a comedy podcast. Sexton and Sullivan are hilarious and Detroit Keith keeps the show rolling.Â Very funny show about all things TV/movies/sports. Mike can go toe to toe with any comedian in the business. Sara's PSA was the funniest thing I've heard all year. Best. Podcast. Ever. This show is not necessary in today's world. Mike is mean to the point of being cruel. Sarah comes from a racist family. I made the mistake of listening to one episode. I was appalled. This is a great podcast 90% of the time. Mike, Keith and Sarah are at their best when their real life encroaches in on their "characters". You can tell when they break character bc Mike will lose it it on air and won't stop laughing. Sarah seems to go out of her way to catch him off guard and when she does (she will purposely - I suspect - say the most outlandish things) it's hilarious because you tend to laugh along with Mike. It's contagious. Once you figure out their schtick, the show becomes more entertaining. This is the most entertaining program on any medium. Only problem is I caÂÂn't get enough. Mike might be a douchebag but he may also be one of the funniest people on the planet. Lowbrow, highbrow, or just plain stupid, this guy has me in tears. Long time listener. The Trap crazy stupid funny. You never know what will be said or discussed from episode to episode. It's never boring. Only complaint is they keep promising more Dr Michael but they never do the segment. We demand more Dr Michael dammit! Also what happened to Neighborhood Wars? That was fun. THe best part of the show is when Mike gets angry and impatient with Keith. It's so funny because Keith is so nice and Mike is usually so wrong. One of my favorite podcasts. Definitely worth downloading. this show is crazy. i found it ranked in itunes and been a fan ever since. it (to quote keith) consistently goes off the rails and mike is the drunk conductor. sara is so funny and her backandforth with mike is pure comedic perfection. pretty sure they hate everything but star wars and wrestling. Mike's twitter account is savage and so are his jokes on the Yap-Trap. Sarah is the perfect co-host and Keith is the only adult on the show. Sometimes I feel sorry for him. But those times are when I'm usually laughing the hardest. This is my favorite podcast on the entire internet.